Stephanie has a wealth of experience in cultural management in the public and private sector, with over 15-years experience in commercial art galleries and art fairs. She managed the Anish Kapoor Exhibition at the Serpentine Gallery and raised over £2 million for the expansion of the Serpentine Gallery by organising their charity auction in partnership with Sotheby's. She was Fair Manager for Frieze Art Fair from its Launch until 2006, Co-Director of Art HK: Hong Kong International Art Fair from 2007-2009 and Fair Director of Art 13-Art15 from 2012 – 2014. She now consults independently and writes for the German Financial Newspaper The Handelsblatt as well as the Neue Zürcher Zeitung as their London art market correspondent. As an academic, she teaches on BA Culture, Criticism and Curation at Central Saint Martins, MA Arts and Cultural Enterprise at CSM andregularly on the business of the Art Market for IESA, London, as well as Sotheby’s and Christie’s Education. Stephanie holds MAs in Art History from the University of Hamburg and the Courtauld Institute, London; and an MBA (Public Services) from Warwick Business School. Anish Kapoor, Sky Mirror 2006, Stainless steel, 1066.8 x 1066.8 cm. Stephanie has to date lead a number of prominent art fairs and exhibitions to success. She was the first Fair Manager for Frieze from its Launch to 2006 and implemented key organizational systems of the art fair. In 2007 she managed the Winter Antiques Fair at Olympia where she raised income streams significantly and gained first insights into the antiques market. Since then she run Art HK: Hong Kong International Art Fair from 2007 to 2009 and launched as Fair Director Art13, the first lobal Art Fair in Lodnon, which sie run until the end of 2014. Her past work experience included sales and artist liaison positions at galleries such as Karsten Greve, Cheim & Read and Gagosian Gallery in Cologne, New York and Paris. In 2009 and 2010 she organized for the Serpentine Gallery the Anish Kapoor exhibition and raised over £2 million for the expansion of the Serpentine Gallery by organising their charity auction in partnership with Sotheby's. She extended her management understanding and organizational process and strategy building through an MBA (Public Services) from Warwick Business School, which she attained in 2014. Stephanie advises discreetly a number of commercial and not-for-profit clients in strategy development in the art world, such as galleries, art fairs and private clients. Stephanie is active as a journalist and regularly writes about art and artists, exhibitions, art fairs and the wider art market for newspapers such as the Handelsblatt and the Neue Zürcher Zeitung. Currently she co-authors and co-edits a special edition for the German Kunstforum on skills based arts eduction, which will be published in February 2017. Stephanie also writes catalogue texts and academic articles. Stephanie currently holds a post as Stage 1 leader on BA Culture, Criticism and Curation and as Unit Leader on MA Arts and Cultural Enterprise at Central Saint Martins. She teaches on Art History, Globalisation and Art Market Studies. Apart from her work at CSM she also lectures regularly at IESA, Sotheby’s Institute and Christie’s Education. She lectures and runs workshops and seminars and conducts assessments across both undergraduate and postgraduate studies. She has extensive experience in course development, revalidation and course management and programming as well as online teaching and learning. Her pedagogic interests lie in Course development, online teaching and learning, student recruitment and induction, cross-cultural teaching and inclusive teaching methods. Her research is based on cross-disciplinarity, collaboration, and sharing. Stephanie understands all areas of her professional engagement as part of research, being this professional work, journalistic activities and teaching. They all influence her research interests, activities, and outputs. Stephanie publishes in German and English. – being part of a research Programme and conflict and art in collaboration with RUSI,the Royal United Services Institute. – being part of a EU funded Research Programme entitled Creative Lenses. 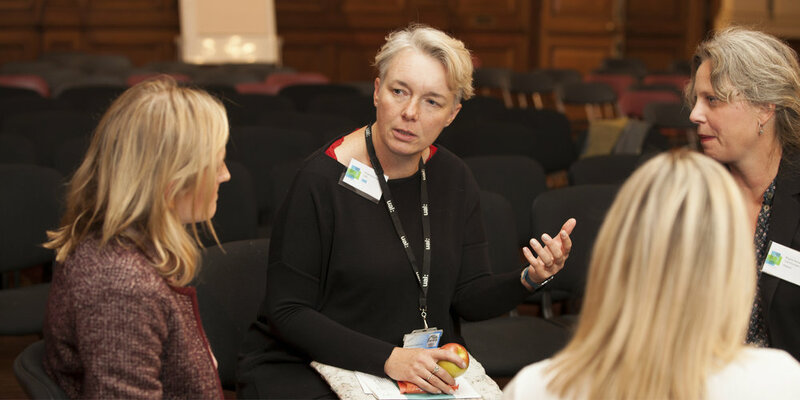 I am producing a 1 day Forum on Innovative Business Models in the Arts under the academic leadership of Prof Lucy Kimbell, Director of the Innovation Insights Hub for UAL on 13 October 2016 at Chelsea College of the Arts. – co-editing and authoring a special issue of the German art magazine Kunstforum with the title Kunstfertigkeiten, on globalisation, skills and art academies. – Author of articles for the upcoming Art Market Dictionary, published in 2017 by deGruyter. – Netzwerk Weitblick, Verband Journalismus and Nachhaltigkeit e.V. Development and delivery of elective on Art Markets incl. 2011 with a profit of £2.2 Million. Arttactic: UK Contemporarty Gallery Report 2015, London 2016, p.
für Architektur, 03/02, May/June 2002, pp. 40-43.